Is objectivity in journalism a false idol, one that leads media outlets like the New York Times into error rather than truth? Or is it the only protection against a future of partisan media yelling at each other and preaching to the converted? Those were the stakes that emerged in a conversation on Saturday between Guardian writer Glenn Greenwald and New York Times columnist and former executive editor Bill Keller. The debate took place in the pages of the Times, in the spot normally occupied by Keller’s column, under the heading “Is Glenn Greenwald the Future of News?” (a headline that sparked a critical response from journalism professor Jay Rosen, who called it clickbait). As Keller noted in his preamble, one of the most compelling questions about the future of journalism — apart from how it will pay for itself — is whether “objective” journalism is an outdated concept. Many new-media theorists and observers (including me) argue that transparency is the new objectivity, as David Weinberger of Harvard’s Berkman Center put it in an excellent essay some time ago — in other words, that disclosure about one’s viewpoint trumps the traditional attempt to pretend that a journalist or media outlet has no viewpoint. As Weinberger noted, objectivity is a trust mechanism that you focus on when your media platform doesn’t support hyperlinks. 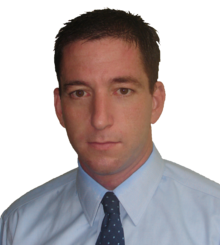 The obvious implication was that Greenwald’s style of advocacy journalism is less substantial and less credible. But the Guardian writer — who is leaving to join a new venture funded by billionaire Pierre Omidyar — wasn’t about to let that accusation go, saying the objectivity model “has also produced lots of atrocious journalism and some toxic habits that are weakening the profession,” such as accepting what official sources say without challenging it. Are advocacy and fairness mutually exclusive? My take is that the traditional style of writing which seeks to hide the reporter behind a veil of impartiality is not only unnecessary, it’s also uninteresting. In today’s socially-fueled media landscape, we prefer to connect emotionally with the people who report for us, not just with what they write, curate or share. That means we expect to understand how they feel, who they are and where they come from. It makes the information we receive from them more interesting and, ultimately, easier to judge from a crediblity standpoint. Great point, Anthony — I totally agree. Thanks for the comment.